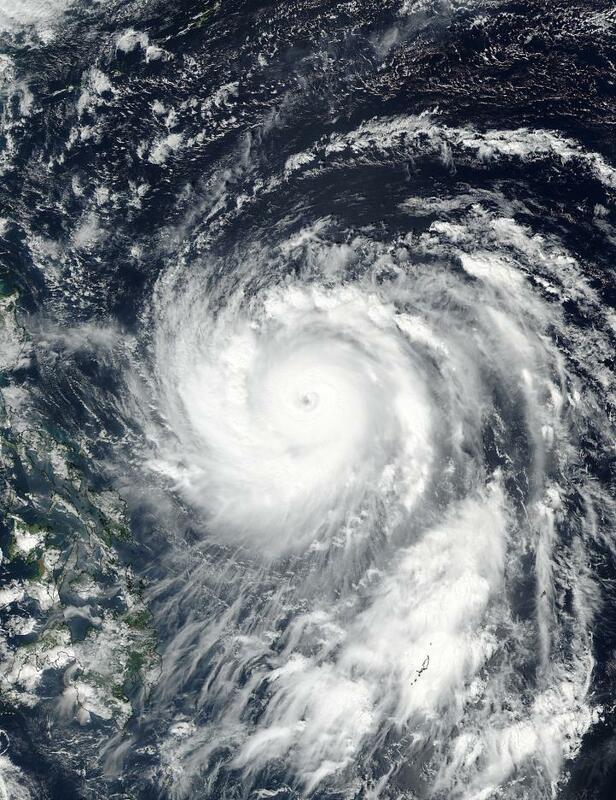 Supertyphoon Haima continues to move toward the Philippines and NASA-NOAA's Suomi NPP satellite provided a visible image of the storm that revealed a clear eye. On Oct. 18 at 12:10 a.m. EDT (0410 UTC) the Visible Infrared Imaging Radiometer Suite (VIIRS) instrument aboard NASA-NOAA's Suomi NPP satellite provided a visible-light image of Super Typhoon Haima approaching the Philippines. The image showed a clear eye surrounded by powerful bands of thunderstorms. Feeder bands of thunderstorms wrapped into the low level center of circulation from the west and east. The Philippine Atmospheric Geophysical and Astronomical Services Administration or PAGASA has posted many warnings. The Public storm warning signal #1 is in effect in the Luzon provinces of Ilocos Norte, Apayao, Cagayan including Calayan group of Islands, Batanes group of Islands, Isabela, Kalinga, Abra, Ilocos Sur, Mt. Province, Ifugao, Quirino, Nueva Vizcaya, Benguet, La Union, Aurora, Nueva Ecija, Pangasinan, Catanduanes and Polillo Islands. On Oct. 18 at 11 a.m. EDT (1500 UTC) Supertyphoon Haima had maximum sustained winds near 161 mph (140 knots/259 kph). That makes Haima a Category 5 hurricane on the Saffir-Simpson Hurricane Wind Scale, the strongest category on the scale. Typhoon-force winds extend up to 55 nautical miles from the center, while tropical storm-force winds extend up to 180 nautical miles from the center. Haima was located near 15.7 degrees north latitude and 129.1 degrees east longitude, about 474 nautical miles east of Manila, Philippines. It was moving to the west at 17.2 mph (15 knots/22.2 kph).